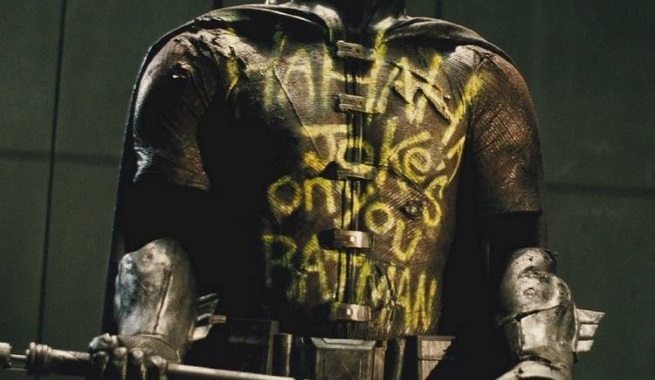 One of the most talked about parts of the blockbuster film “Batman v Superman: Dawn of Justice” is Robin’s suit that has graffiti from The Joker, which Bruce Wayne has on display at the Batcave. Film director Zack Snyder recently shared some insights about the part. Snyder also added that with the memory of a defeated Robin on display inside the Batcave, the element of having a fallen ally was intended to emphasize that Ben Affleck’s Batman, in the film, had already gone through a great deal prior to the events of the film. This explanation from Snyder not only shed more light to the past of Bruce Wayne as Batman in the DC Extended Universe, but it also debunked a long running rumor about the identity of The Joker and its relevance to the identity of the fallen Robin. It was long rumored that the identity of the fallen Robin was Jason Todd. 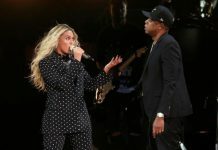 He was, as some fan speculations said in the past, not “dead,” was eventually swayed to the side of the villains, broken, and eventually became The Joker and mortal enemy of Batman. However, with Snyder confirming that Robin died from an encounter with The Joker, the long running fan theory had finally been debunked entirely.